The Feminine Wisdom Academy was founded by Morgan Susan Taylor and is based in Austin, TX, USA. We serve clients locally and across the US and around the world through in person and online programs. Individual and group sessions, classes, workshops and retreats on Feminine Wisdom, feminine spirituality, sexuality and relationships are taught throughout the year. Check out our "Programs" page for more information about our transformational courses and retreats. There is a rebirth happening in our world today. And we as women play a central role to this mysterious renaissance. Both personally and globally women are awakening to an intuitive knowing that there is something very important we are here to do. We are midwifing the rebirth of the Sacred Feminine into our personal and collective conscious. We are unearthing a wisdom that has been buried, oppressed, and hidden for millenia, only awaiting this time in history to be revealed. You may be experiencing this as an inner knowing that more is possible for your life. You may feel a sense of restlessness, a deep desire to have, be, do and give so much more. You may be pulled by an inner urge to move more slowly in your daily rhythm, and feel a deep soul calling to turn within and to listen to the wisdom of your heart. But, sadly, we are distracted. We are caught in a hyper masculine world that dictates our time and energy in a linear goal directed fashion. We are in a hamster wheel of over-productivity, consumption, and an obsession with the external manifestations of form and structure. This way of being has permeated all facets of our life. And we are exhausted. Yet, life seems to be moving too fast to slow down. There seems to be little time to turn within. And as a result many of us do not know how to get out of this vicious cycle, how to change the pattern and begin to honor the deeper calling of our bodies, minds, and hearts. We lack confidence and feel powerless or confused as to how to make the changes our souls are calling us to make. Despite great leaps and advances in healthcare, politics and religion have dictated a women's options in healthcare choices. Alternative approaches to health and healing, have not only been ridiculed, but even in some places outlawed by the medical establishment. The doctors don't want the competition. Only doctors are "legally" allowed to "heal". The local wise woman has been ousted from her place in our culture. The witch hunts remain alive and well. And feminine wisdom practices have gone underground. Our religious systems have also suffered from our hyper external focus. Rules, dogma, and masculine hierarchy are the standard rule inside our churches and places of worship. Hyper vigilant demand for facts, artifacts and historical certainty have overshadowed a more fluid and feminine approach to the Divine. The flowing, spontaneous, alive, and evolving spirit led path which elicits a direct and unmediated experience of the living God has all too often been frowned upon as something "savage" or persecuted as heresy. But in fact, we have in our midst our very own Western enlightenment tradition. This is the path of the Sacred Feminine. And it is available to anyone who sincerely asks to receive. As we remember and re-learn the sacred inner paths of spiritual workings, healing, and knowing we access a power that can change our lives and change the world. 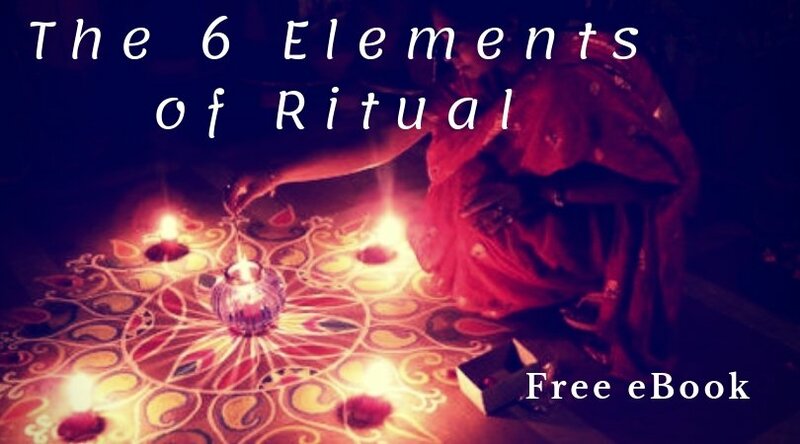 It is time to return to these sacred feminine paths of wisdom, and for women to listen to and act up on the deeper desires of our heart and soul. When women learn to live from their feminine wisdom they cultivate the power to shift consciousness on both an individual and collective level. We as women hold the power to cultivate and co-create deeper and more meaningful relationships that can evolve humanity collectively. It is women who hold the power to cultivate more fulfilling sexual intimacy with our partners. It is women who hold the power to heal our bodies. It is women who hold the power to heal the split between mind and body and in so doing heal our communities and our world at large. We must rebirth the Sacred Feminine into our lives and world. The Feminine Wisdom Academy provides teachings, tools, and practices that show women how to regain this lost wisdom and use it to heal and transform their lives. The Feminine Wisdom approach is founded on principles which show women how to up-level the playing field in all of their relationships and to use all relationships for the elevation of consciousness and personal and spiritual healing. By learning to access an internal source of healing and wisdom women are no longer bound by external forces which all too often seek to dis-empower. Women become free to discover their deeper potentials and to live in a way that is in harmony with their most cherished values. When women are in contact with their deepest desires and longings of their soul, they learn an entirely new way of being and creating in the world. They are freed from the limiting and exhausting confines of seemingly endless and meaningless goal oriented productivity and hyper masculine ways of being. The Feminine Wisdom approach combines alternative healing, esoteric energetic practices and ancient and modern spiritual tools to help women cut through the illusion of personal limitation, lack, dis-ease, and dis-empowerment. Women learn to access an inner confidence, radiance, and power that, when cultivated, gives them a powerful resources to manifest deep and lasting change in all areas of their life. The Feminine Wisdom Academy offers one on one private mentoring, individual healing sessions, and women's group courses which are available both in person and via tele-summit and webcast. Many of our offerings are by invitation only. If you would like an invitation to one of our events, please join our e-mail list or submit an invitation request .